Group Lark CEO Andy Lark has joined the Fronde board. The CEO of Group Lark had already been working with Fronde as a strategic advisor. Group Lark is a consultancy firm based in Sydney that specialises in brand and digital transformation. Lark left his CMO role at CBA in May last year. Prior to joining CBA in July 2011, Lark was Dell's United States public and large enterprise global marketing vice president. Fronde chairman Jon Mayson said the company increased its director numbers so that Lark could join. There are seven directors on the board including Mayson, Lark, Wayne Norrie, David Irving, Sandy Maier, Greg Cross and Celia Burton. “He [Lark] brings more than 20 years’ experience in technology, globalising sales and marketing, and driving the adoption of new technologies. Lark brings first-hand knowledge of the Australian market which is an added advantage given its important following our acquisition of OnlineOne last year,” said Mayson in a statement. According to Lark, Fronde is “uniquely positioned” to offer cloud services to government agencies and enterprises. Lark is also on the board of search engine optimisation (SEO) company SLI Systems, which has offices in Melbourne and Christchurch, NZ. 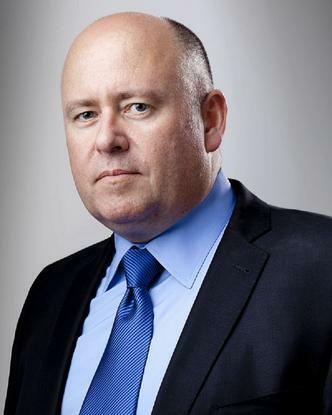 In addition, he is on the board of Auckland, NZ based electricity provider Mighty River Power.